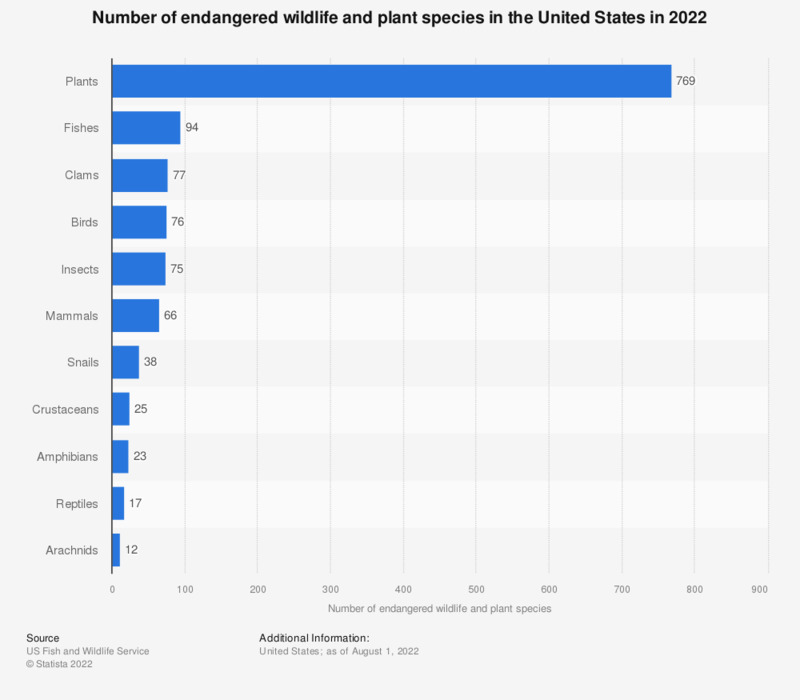 This statistic shows the number of endangered wildlife and plant species in the U.S. as of October 19, 2018. 74 insect species in the U.S. are in danger of becoming extinct throughout all or a significant part of their natural range. Endangered species: a species in danger of becoming extinct throughout all or a significant part of its natural range.